after arriving late the day before – we are greeted with beautiful weather today. every year we rent the same house for my extended austrian family. this ensures that we meet at least once a year in southern styria which is about the same distance for everyone except us coming from switzerland. i feel very at home here. 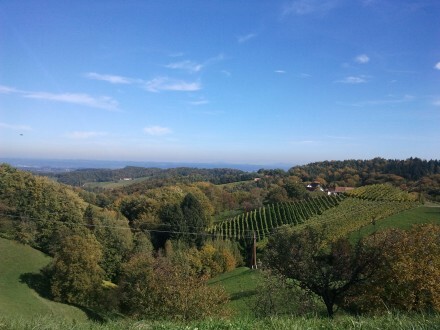 my kids and wife have come to share my love for this beautiful part of our planet – in this post i will try to convey some impressions, but, alas, there will be no substitute for you, dear reader, other than come to southern styria and see for yourself! 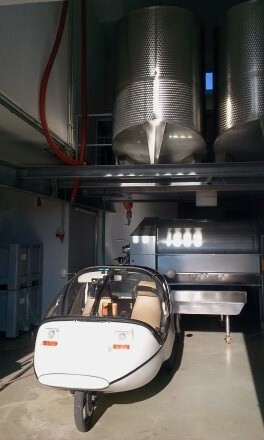 the TWIKE gets a premium parking spot – directly below the wine tanks holding the wine we’re going to be drinking later that day! 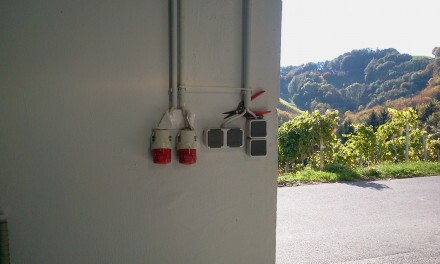 since there is heavy machinery involved in processing wine, my charging infrastructure offers more than i could ever expect: in that single room i could pull 5x3x16A, 1x3x32A plus 6x13A via standard schuko-plugs. a whole fleet of ev’s could stop here and charge! 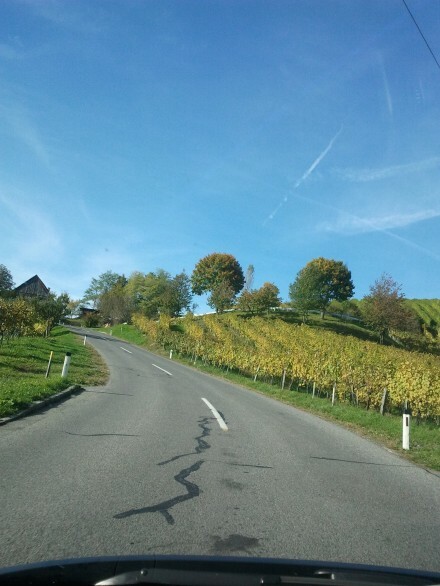 here a few impressions of what the landscape looks like – no single flat stretch here! 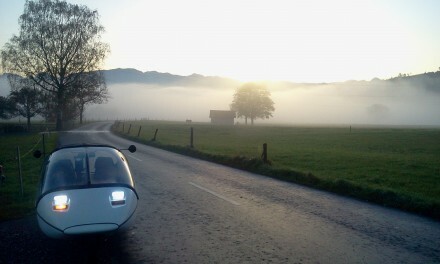 driving here with the TWIKE is a real treat: no big roads, just wine farms, buschenschank’s and places begging for a stop because the view is just stunning. 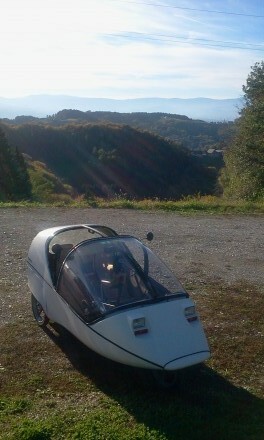 this is the twike driving back to our house. look at how far you can see during the first few seconds! 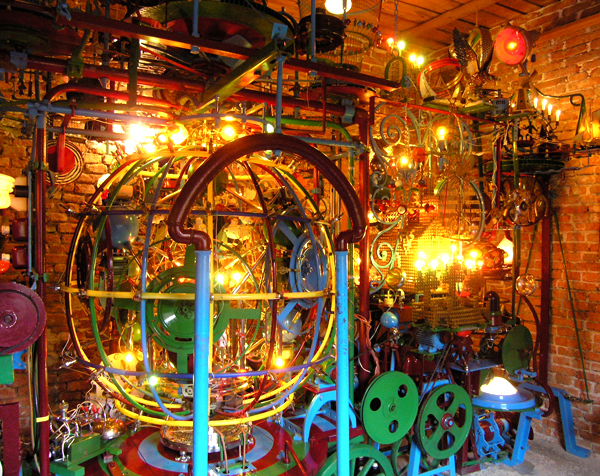 see the english entry in the atlas obscura or in german on wikipedia for more explanation… or check out the video below. 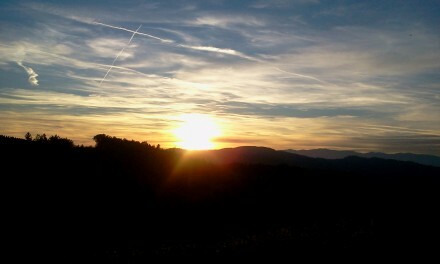 then we head out to try and then eventually buy our white wine stock for the next year. 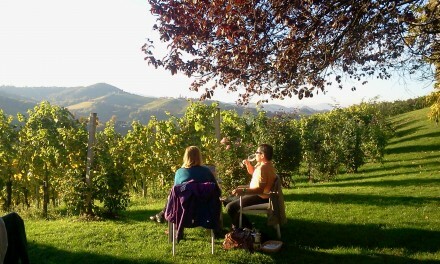 we usually go directly to the various wineries and buy direct. 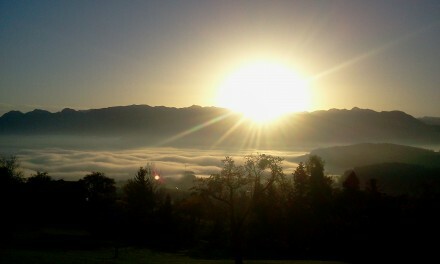 here some pictures from one of the wineries we have been buying from for the last few years. 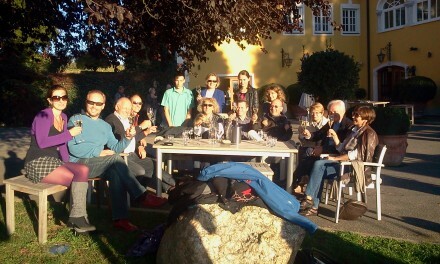 sun, wine and my family – plus styria – this very, very close to 100%! 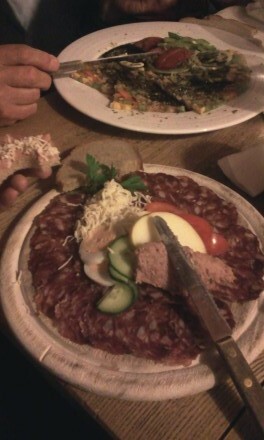 then, obviously i need to show you a sample of what you can eat. all food is made on the farm and the wine *must* be from the same farm. all served with a generous amount of local pride. you will get back home and just count the days until you can go back! during the afternoon we visit another few wineries and TW560 gets another few nice kms here. 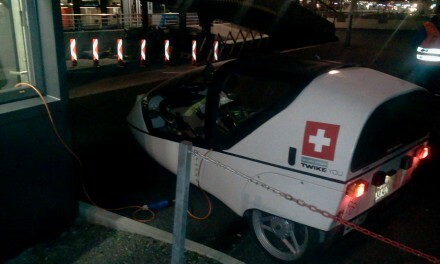 we head back to graz main station to load the TWIKE onto the train taking it back to feldkirch. as last year, to ensure i make it back home from feldkirch in one charge, i ask the person at the train station checking the tickets if i could charge until they finally close the train. 10 metres from the train i charge until the last minute before boarding the train as the last vehicle. i settle in and soon sleep whilst the train is making its way back to feldkirch. the next morning we are greeted with grey clouds and fog. it is quite cold and the battery has cooled down to 4°C > which will have an impact on my range. 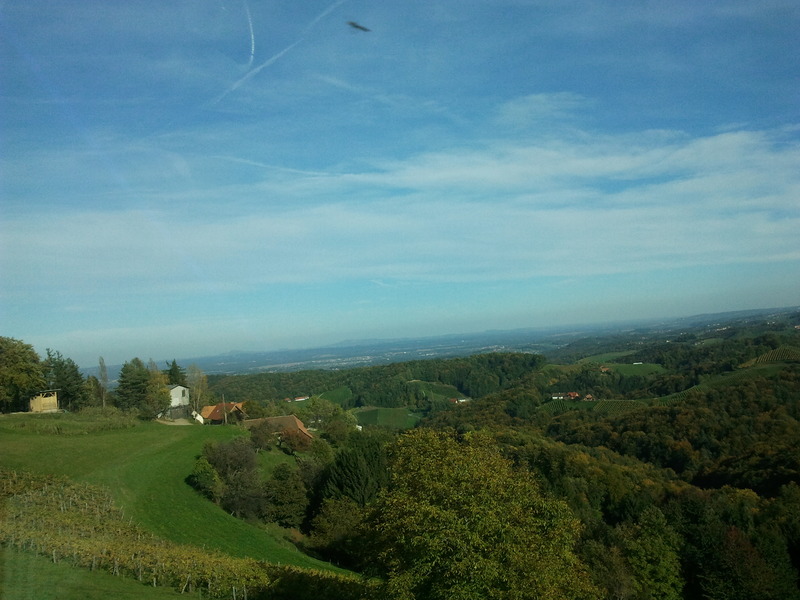 whilst driving towards canton appenzell, suddenly, we leave the fog behind us and then, climbing up a very small single lane road, we are greeted by a view so glorious it could not be missed by my camera! …and yes, TW560 and i make it back home in one charge!